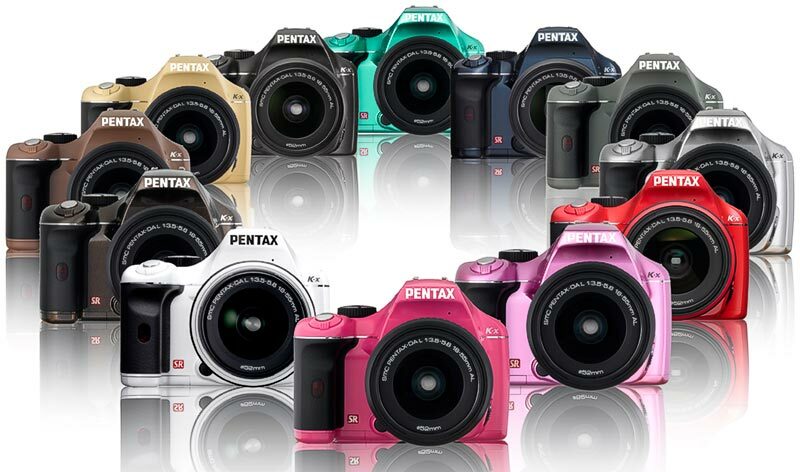 The K-x was the first Pentax DSLR to be sold in a true multitude of colours. In most markets, at least the black, white, red and navy versions were available. 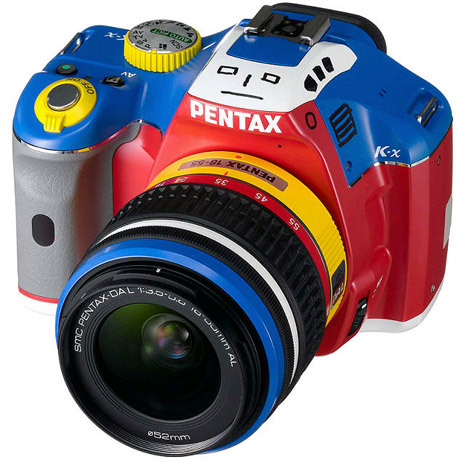 The red and white versions were also available with a smc PENTAX-DAL 1:3.5-5.6 18-55mm AL zoom lens of the same colour. 20 K-x body colours could be combined with 5 grip colours, resulting in 100 different combinations. Of the limited multi-colour Kore Ja Nai Robo edition K-x only 100 pieces were sold in Japan, only. 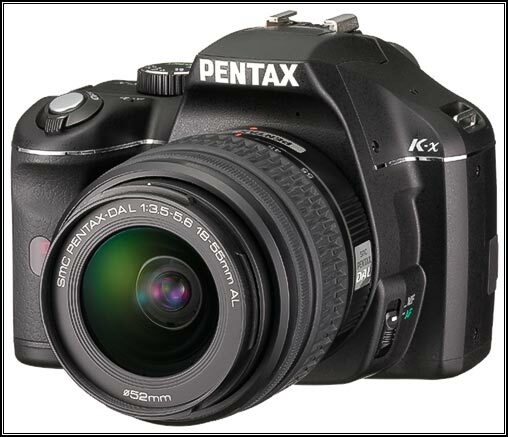 Each was equipped with an appropriately adpated multi-color smc PENTAX-DAL 1:3.5-5.6 18-55mm AL zoom lens. It was inspired by a wooden robot named Kore Ja Nai Robo.